The trial of Olympic runner Oscar Pistorius continues in South Africa, with a testimony from Pistorius's neighbor who claimed he heard a man crying loudly and that he called security for help, according to the Associated Press. Michael Nhlengethwa was called by the athlete's defense team to testify on Tuesday. 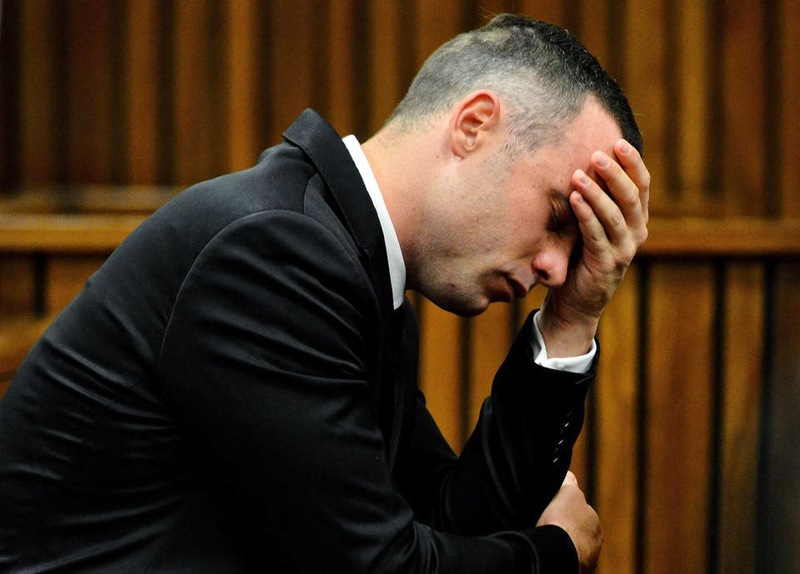 The defense team contends that Pistorius killed his girlfriend Reeva Steenkamp by mistake after believing she was an intruder in his home on Feb. 14, 2013. The prosecution says Pistorius intentionally killed Steenkamp after the couple had an argument. The disabled runner shot four times through a bathroom door with his 9mm pistol, hitting Steenkamp in the hip, arm and head, the AP reported. Nhlengethwa, who was Pistorius' next door neighbor, testified that his wife woke him up after hearing a bang and that he did not hear gunshot. He said he then heard a man crying in a high-pitched voice that signified that he urgently needed help. The neighbor could not understand most of what the man was saying but heard the words, "No, please, please, no." The neighbor's bedroom window was around 25 meters (80 feet) from the balcony doors of Pistorius' bedroom, closer than neighbors called by prosecutors who said they heard a woman screaming on the night of the shooting. One neighbor who testified to hearing a woman's screams that night lived around 170 meters (560 feet) from Pistorius' house. Nhlengethwa, who has lived in the neighborhood since 2009, called Pistorius a friendly neighbor and said Steenkamp had a warm personality.